How many times have you stared at yourself in the mirror while putting the makeup on. Are you somebody who got rid of blushes because you felt – ‘Blushers in general’ was emphasizing your pores making them appear larger. Blackheads and Clogged Pores are the worst enemies of everyone. In simple words – blackhead is a sebum build-up, dead skin cells, bacteria, and dirt. This is a plug that can grow in size and expand the pore walls, making a pore appear larger. A blackhead appears on skin like a dark spot. The spot can be tiny, barely visible (like the size of a pin) or quite large and visible. Blackheads are most common on the nose. You can also see them on the cheeks, chin, forehead etc. In today’s post – I am sharing my most loved and most favorite skincare products that help get rid of these worst enemies for that smooth and firm clear skin. WHO understands this better than Dr. Murad himself – every skin is different, so needs different care to address and improve skin concerns. 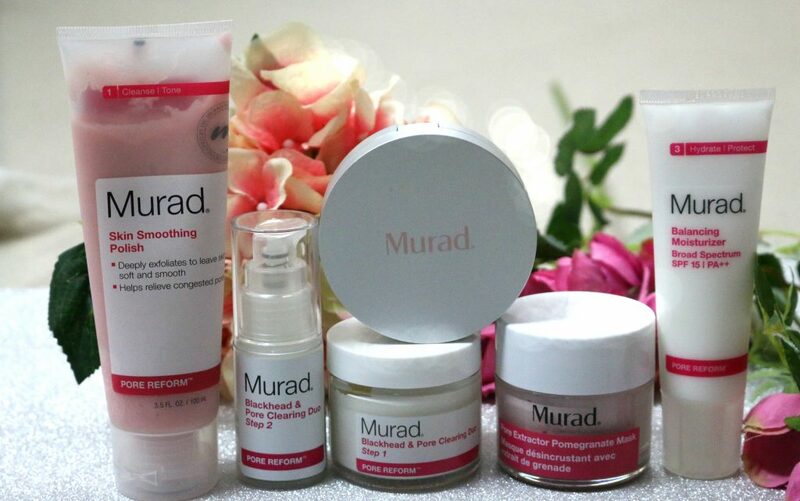 Murad Pore Reform skin care products are designed to help clear and prevent clogged pores, whiteheads and blackheads. These specially formulated products are targeted to treat clogged pores and blackheads by extracting existing clogs and thereby prevent future blackheads as well. 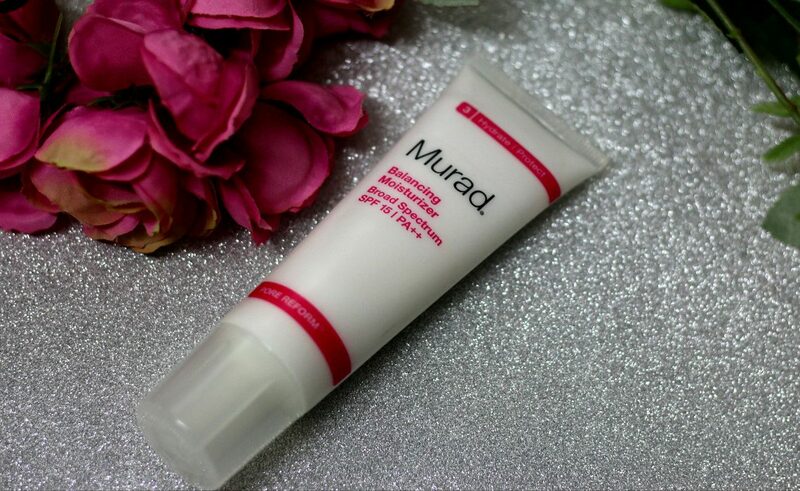 Murad is one of my primary choice when it comes to skincare for problematic skin. My skin have been really good during my teens. In the recent years, My skin started acting up. Due to lack of proper sleep, long working hours, and no proper diet left me with various skin problems. 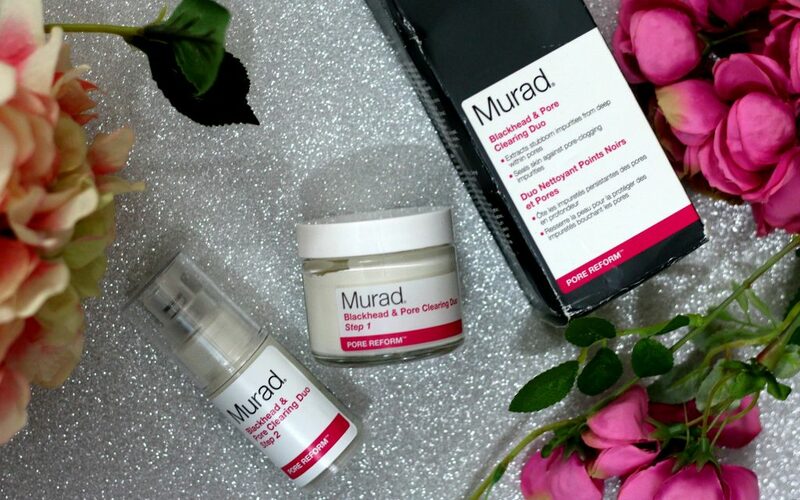 About Murad Skincare – Murad is an industry-leading skincare brand founded on the belief that only healthy skin is truly beautiful. 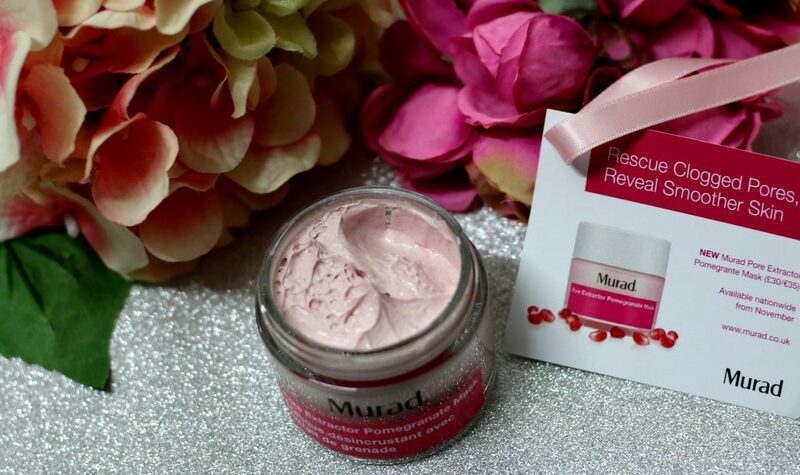 Established by one of the industry’s foremost authorities on skin health back in 1989, Dr Murad created his skincare brand to produce solution-driven skincare formulas that deliver proven results every time. 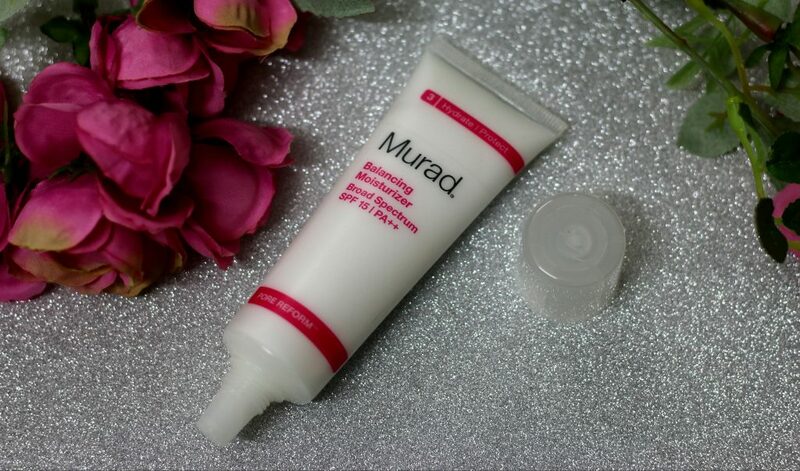 Murad is a brand that has always been on top of skincare game with the latest researches and unique formula that work, It’s almost capable to address any skin problem that one faces. I’ve used a variety of their products – some of which you can read here, which includes some of their best sellers – Murad Hydro-Dynamic® Quenching Essence*, Eye Lift Firming Treatment*, Retinol Youth Renewal Serum* & City Skin Overnight Detox Moisturiser* etc. I totally loved them. And, When I was given a chance to try out the Pore Reform range. I was more than glad. Help resolve the appearance of your pores by removing blackheads whilst reducing t-zone shine with the pore reform range. 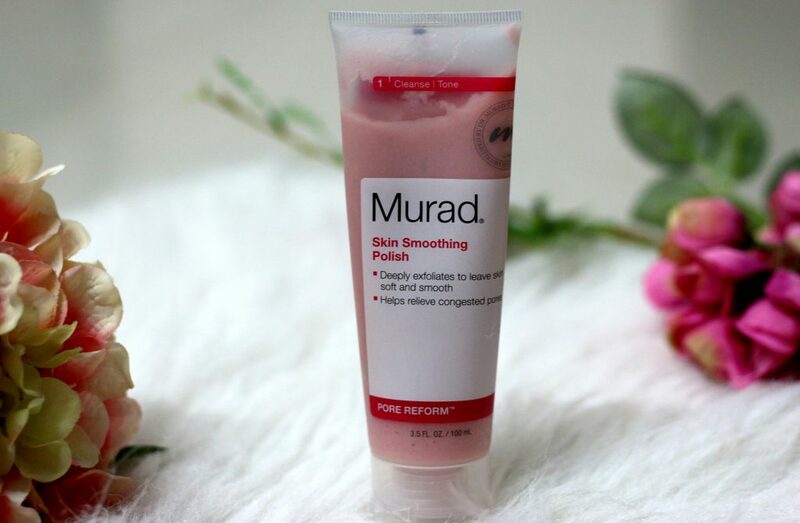 Murad Skin Smoothing Polish is a scrub that removes dry, dull skin and clears your pores by eliminating all the impurities, without stripping skin of natural moisture. It helps relieve congestion with a deep exfoliation that leaves skin soft, smooth and polished. This is one of my favorite scrub ever. Most of the scrubs found in the market are either too strong for my sensitive skin and doesn’t really help with blackheads or whiteheads etc. 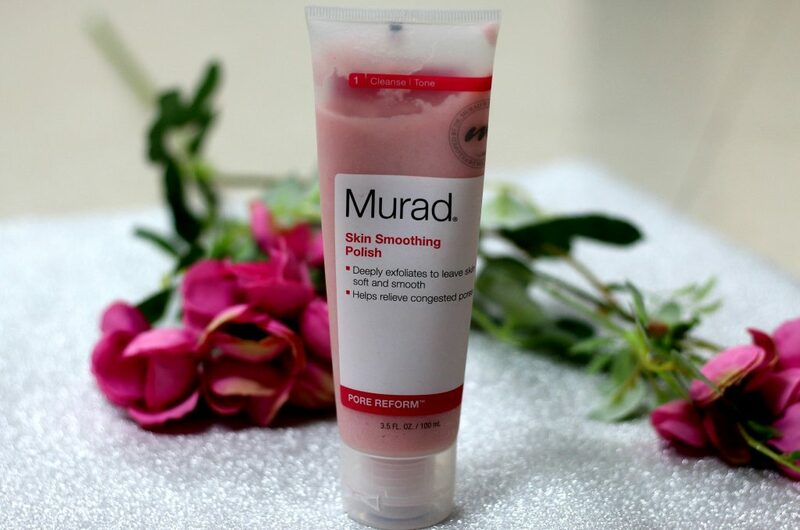 The micro-polishing beads in this Murad Skin Smoothing Polish deeply exfoliate to help revive clogged pores and remove blackheads. 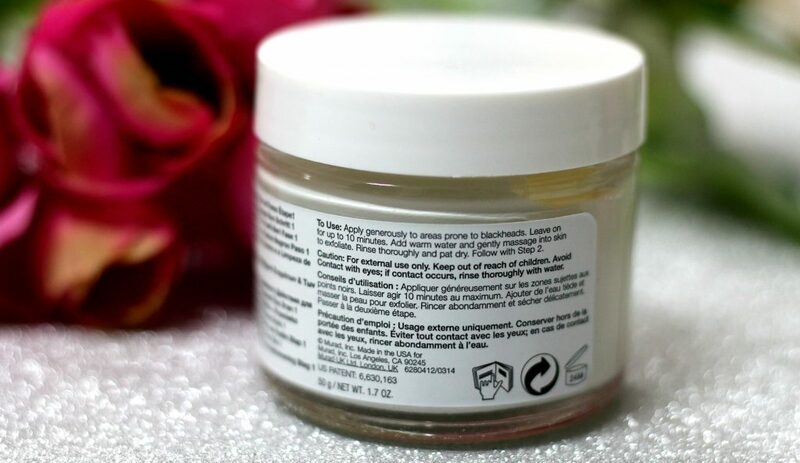 The ingredients in this scrub such as Witch Hazel and Cinnamon extracts help tighten pores and balance oil production. Starflower extract leave skin soft and supple. The tube packaging makes it convenient to use and You can see the amount of product left in the tube as well. You only need very little amount. Directions to use – Massage a small amount over dampened face and neck. Rinse with luke warm water and pat dry. 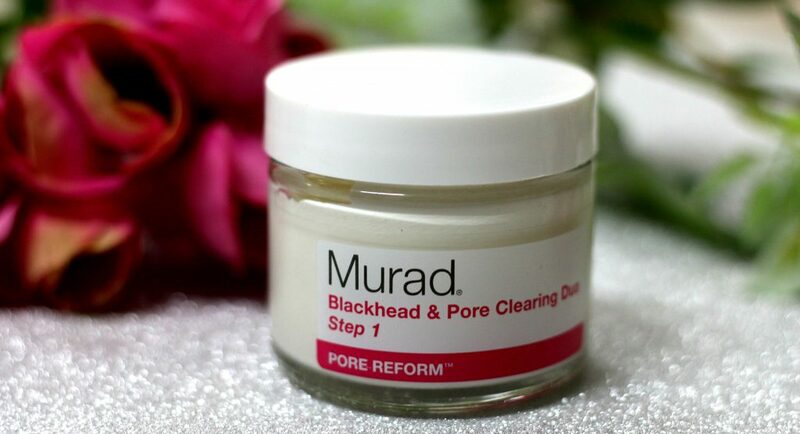 I follow with Murad Pore Reform Blackhead & Pore Clearing Duo. I use this scrub weekly twice. 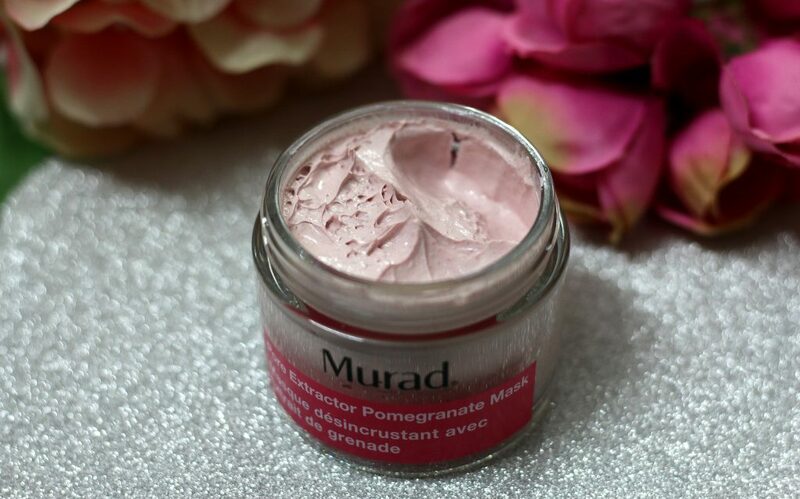 It has a soft creamy like texture, has jojoba wax beads (Please note – no plastic beads in here) to deliver a thorough scrub for your weekly exfoliator routine. The beads are small and rounded and not harsh on skin at all. It gives you that satisfying scrubbing experience. One important thing I noticed is – This has a really soft floral/rose like fragrance that lingers slightly on the skin but isn’t too overpowering. if you are someone who prefers no fragrance for scrubs – Then, this might not be the choice. Now, regarding the claim ‘relieves clogged pores’ – Love that fact that it washes away all impurities from skin very gently, doesn’t tear the skin. Problematic area of my skin is around my nose and chin area. 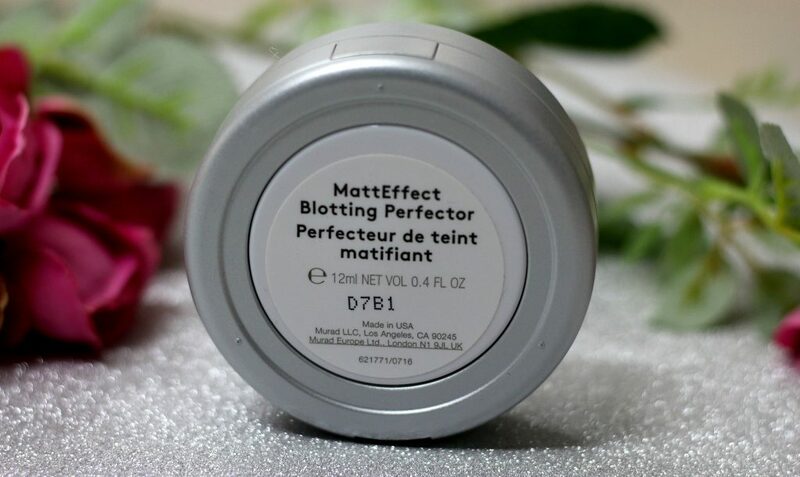 This smoothing polish helps deal with the clogged pores problem. After washing, I felt my skin to be soft, redness was there after washing (It goes off after about 5 minutes or so), skin felt smooth, firmer, pores were left clear as well. Overall skin looked radiant as well. Quite a winner for me. I have a combination/sensitive skin and this worked quite well for me for a basic exfoliator. Adult acne breakouts was one of the most annoying problems that I faced. I hated it especially when my makeup always appeared patchy and uneven. 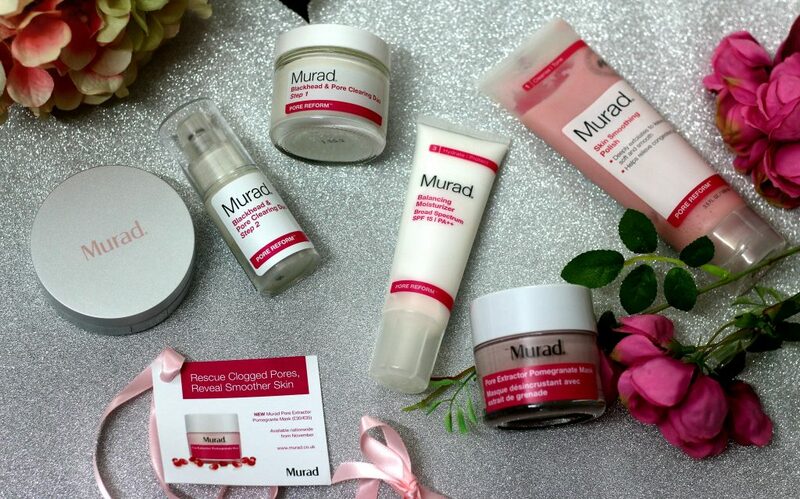 It took me a while to figure out root cause of my actual skin concern and address that- All thanks to the wonderful Murad team in educating me on what was right for my skin type. 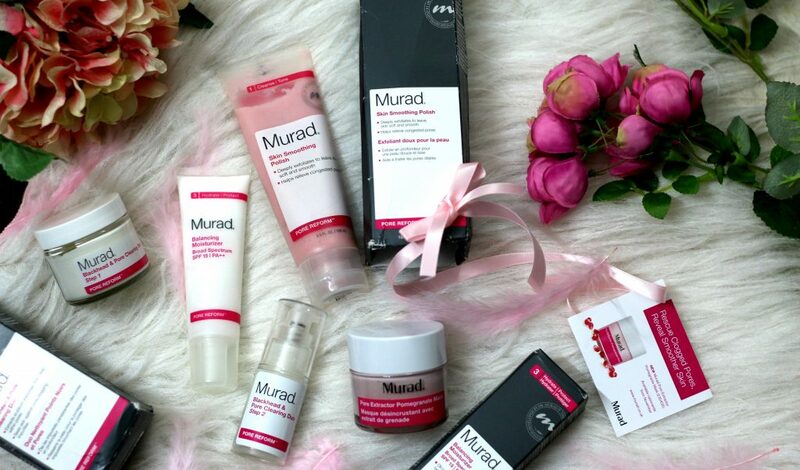 For my combination/sensitive skin ; I got some of best from Murad skincare to try. 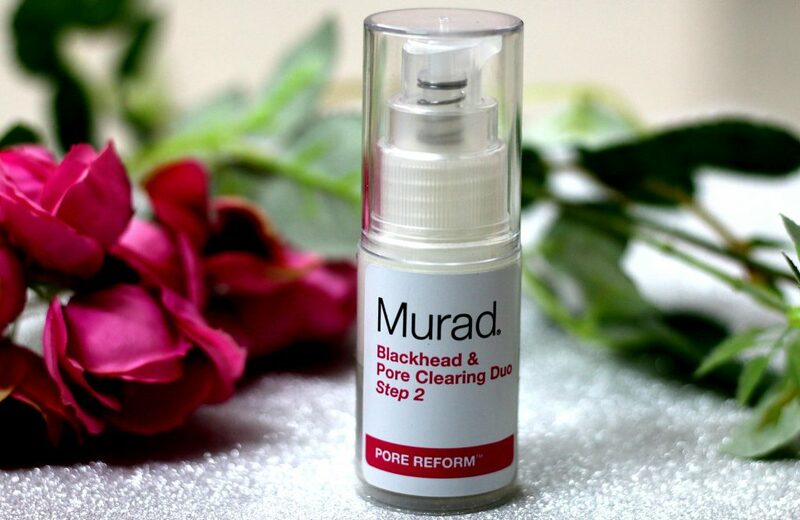 Murad’s Blackhead & Pore Clearing Duo* proved to be a winner by all means in my opinion. Read on to know why I love it. I use this weekly twice as a treatment product right after using the Murad Skin Smoothing Polish* that I just mentioned about above. 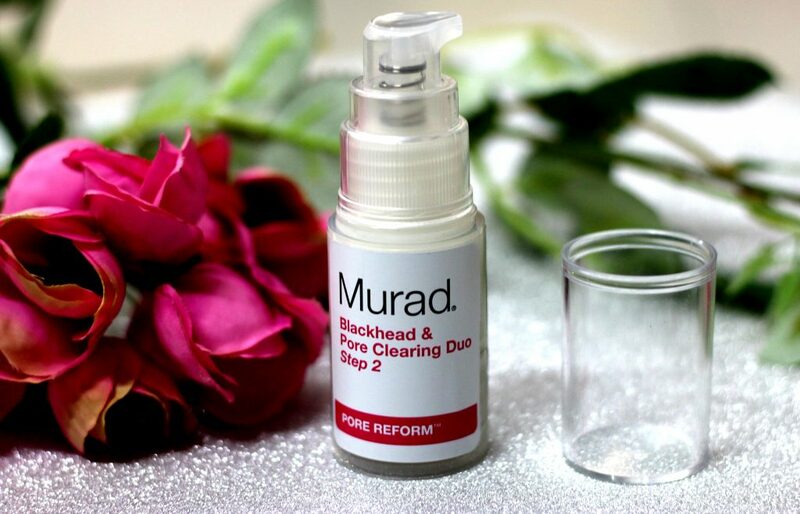 As per Murad, powerful duo that work together to reduce blackheads and seal pores. The Blackhead Remover extracts stubborn impurities from deep within pores and reduces the formation of blackheads by an average of 58%*. 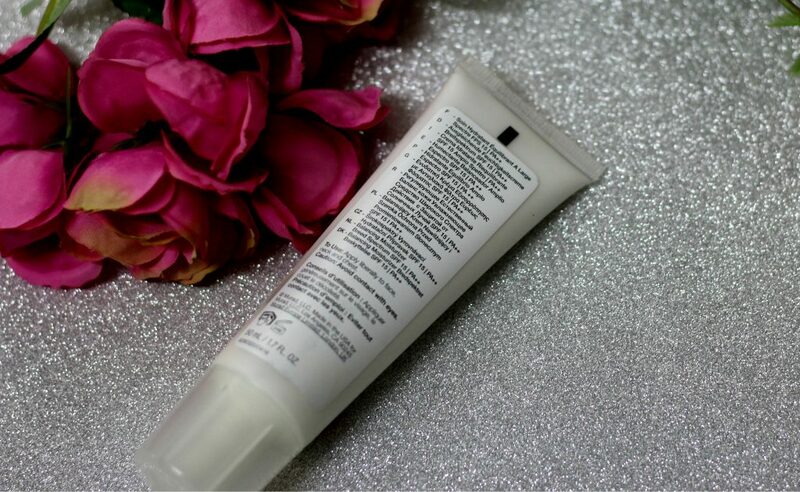 The Pore Refining Sealer then provides a protective seal against pore-clogging impurities. 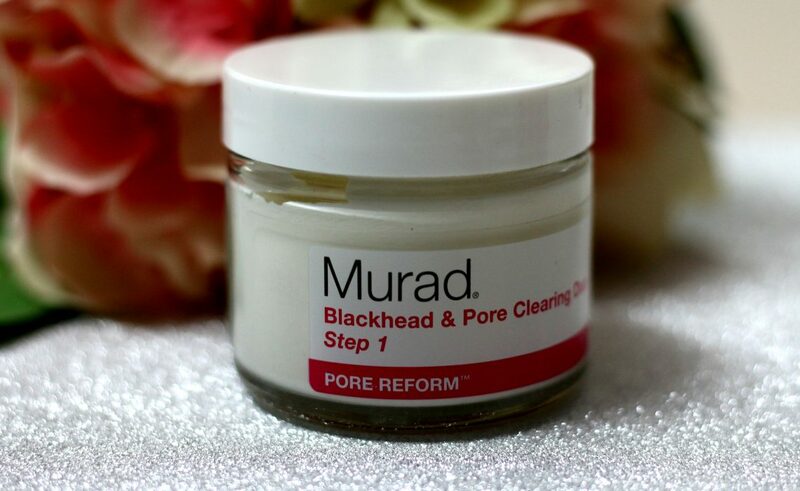 Murad Pore Reform Blackhead and Pore Clearing Duo have been put together to extract stubborn impurities from deep within pores to reduce the formation of blackheads by 58%. 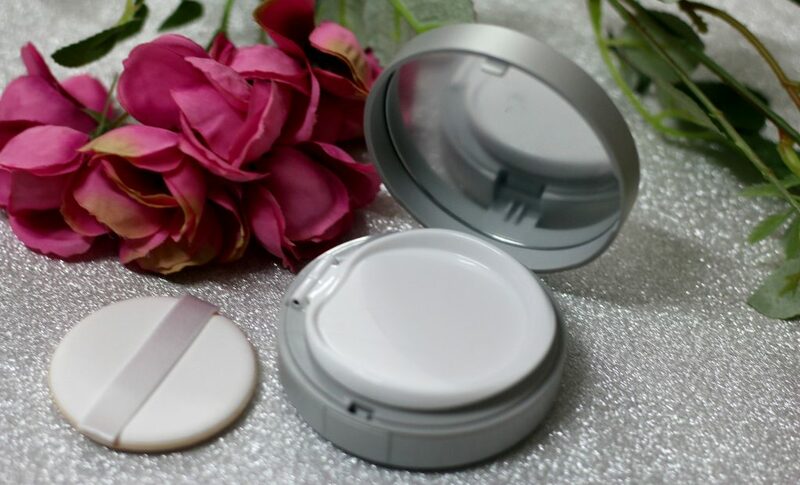 The duo is perfect for oily or combination skin that may experience clogged pores, white heads and blackhead that can leave your skin looking unhealthy. The two-step process reduces blackheads and seals pores for the ultimate protection against pore-clogging impurities. The duo features fast acting ingredients including volcanic mineral clay and shikakai extract to detoxify and draw out dirt and excess oil; oxidation reversal complex to target sebum oxidation and pomegranate seed oil to tighten pores and refine complexion. DO YOU KNOW – These products use Volcanic Mineral Clay and Shikakai extract to detoxify the skin by drawing out dirt and excess oil. The Oxidation Reversal Complex targets sebum oxidation, a leading cause of blackheads, while the Pomegranate Seed Oil acts as an astringent, tightening pores and refining the complexion. Step 1 – Blackhead Remover – I apply this to clean skin, so just follow your usual cleansing routine first. 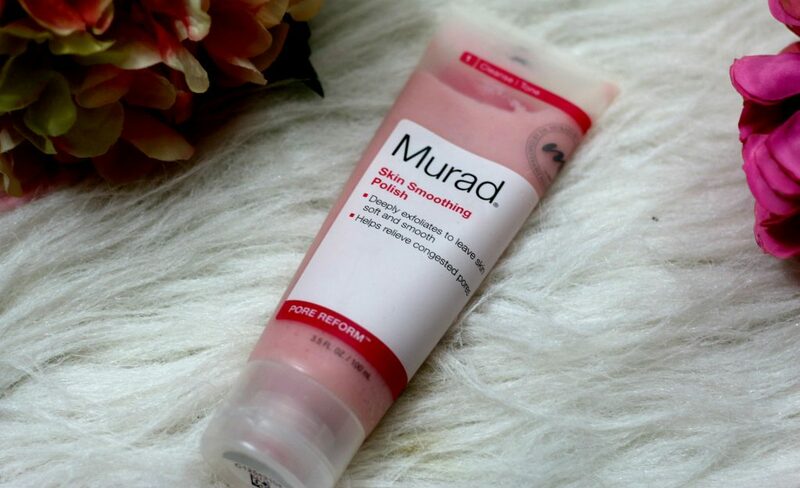 I wash my face using Murad Skin Smoothing Polish and pat dry. After that I scoop the required amount and using my fingers – I slather it rather generously to my areas of concern. mainly around my nose, jaw area, under my eyes (not exactly underneath, but a cm below that area – I sometimes feel black heads or spots tend to appear their first) and forehead. Somedays- When my skin is totally misbehaving – I apply this to entire face as well. 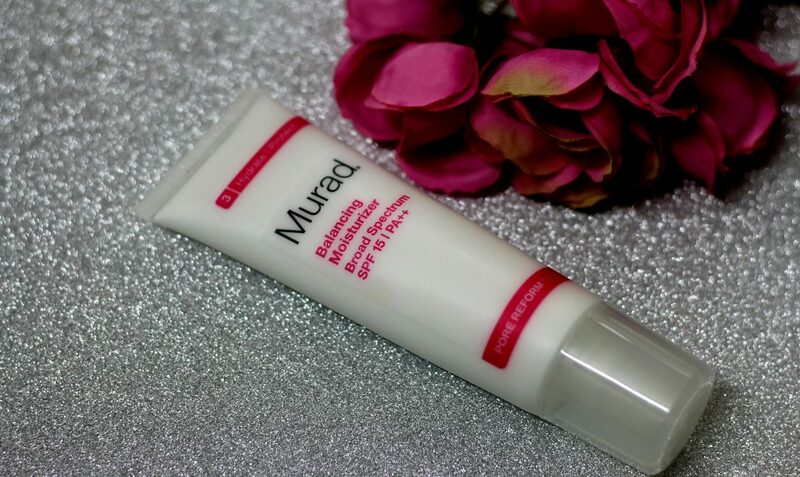 Murad recommends to use this 2-3 times a week. For best results, apply a second layer 12 hours after initial treatment. 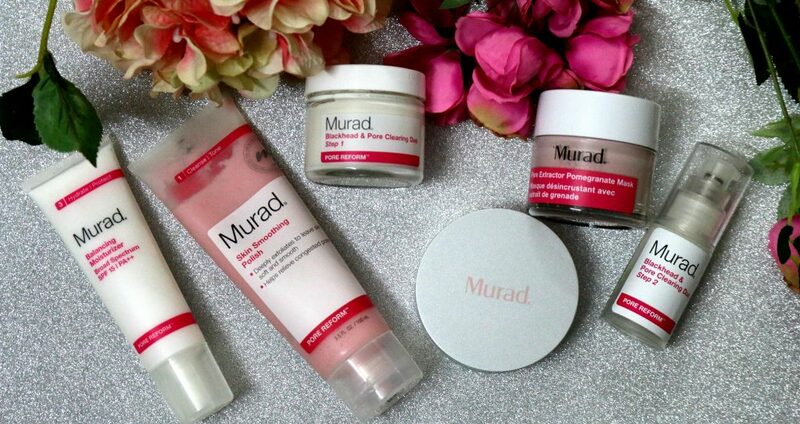 Follow with a Murad moisturizer after each application. Hope everyone is clear on what a blackhead is and how it turns to a clogged pore. Blackhead is basically a blocked pore – which starts out white then turns black as it’s continually exposed to the air. This is why step 2 is so important. This serum in Step 2 Blackhead & Pore Clearing Duo has a special ingredient that seals the pores and helps prevent blackheads from coming again. My tip on using these targeted treatment product is – Cleanse your skin and then do some steam that help open the pores ; Any home sauna device can help you with steaming. 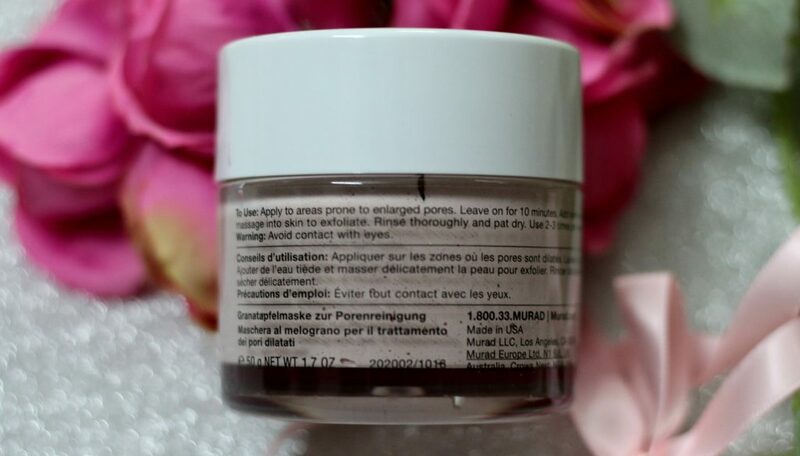 And once steaming is done, You can use Step 1 – Wash off mask ; and then move to this step 2- Which is Pore Sealer. Like any other serum – This comes in a pump bottle making it super convenient to use. I use this only on the areas where I apply the mask. 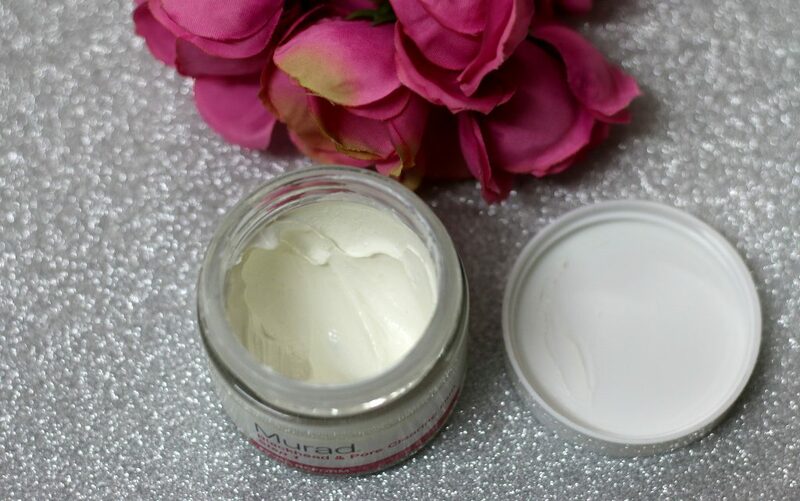 If you are looking for a lightweight moisturizer that helps control oil on your face while providing broad spectrum sun protection against UVA/UVB rays keeping your skin super hydrated to deliver powerful antioxidant protection and something that goes smooth and superb underneath your makeup – This is the right product for you! 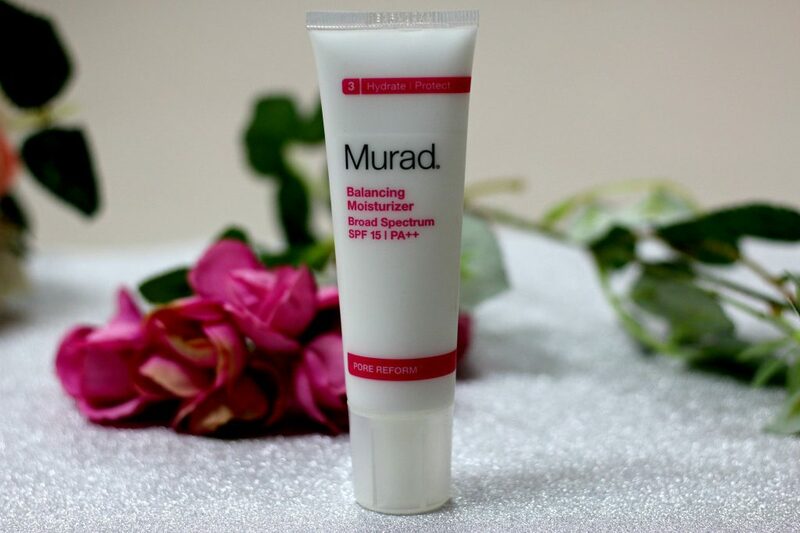 Designed to protect the skin against the damaging effects of the sun whilst keeping it hydrated, soft and supple, this Balancing Moisturizer Broad Spectrum SPF 15 PA++ by Murad boasts a lightweight consistency that’s instantly absorbed. Containing Japanese Alder Flower Extract to help prevent blackhead formation, Lactic Acid and Amino Acids to provide lightweight hydration and Microscopic Spheres containing Vitamins A, C and E to encourage cell turnover, this moisturiser promotes healthy, balanced skin. The tube packaging makes it super convenient to use. I really love how light weight it is on my skin. This is my go-to day time moisturiser under my makeup these days. Right after cleansing and toning ; I massage it evenly over face and neck. When I first received it – I was thinking – Like any other clay based masks – This wouldn’t do a deep cleaning of pores. But Just remove excess oil from face. First of all – it’s descriptive name – ‘Pore Extractor’ – It’s quite a strong term. 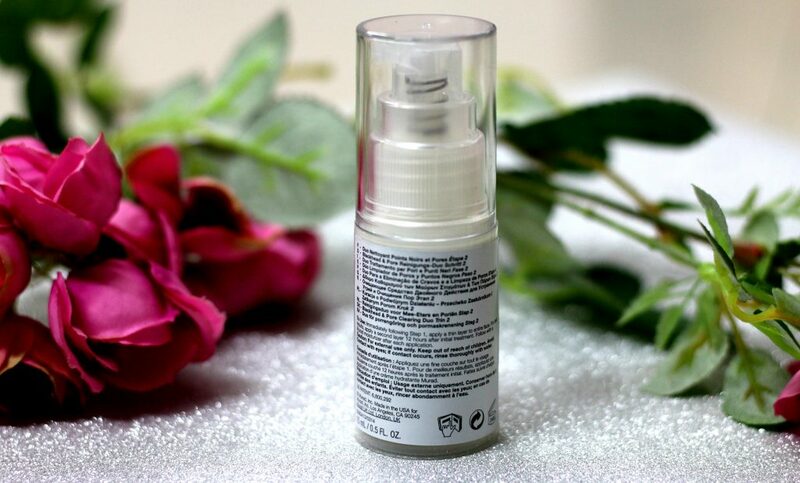 Also the mention – Apply this on to those areas of your face that are prone to enlarged pores. So, I thought this formula might be a little too harsh for my sensitive skin to be used all over the face. To my surprise – This product favoured me well so far. It never irritated my skin the least bit. The polishing beads present in this mask really helped exfoliation. While washing off the mask using warm water, I massaged my face using my brush cleanser from clarisonic device and I must say, I like the squeaky clean feel of it. Most of us suffer from Large Open Pores – When dead skin cells, oil and debris get clogged in the pore, it expands, appears to be larger and is more noticeable. 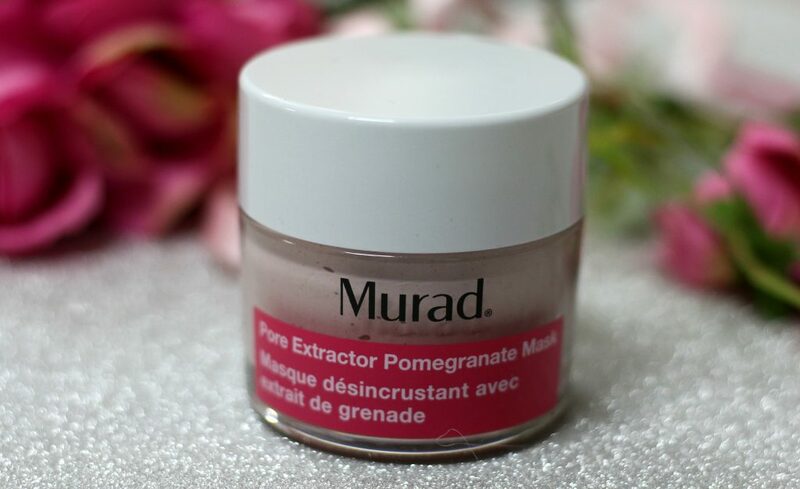 Pore Extractor Pomegranate Mask exfoliates dead skin cells from the surface as it draws out impurities and deep cleans every last pore for cleaner skin and minimized pore appearance. Result – Pores are noticeably smaller after one use, and with continued use, pores will remain consistently clear and smaller in size. DO YOU KNOW – The Pomegranate is literally the cherry on top! The Pomegranate fights free radicals and inflammation in the skin! Thereby revealing a radiant,healthy, pore-less firmer skin. 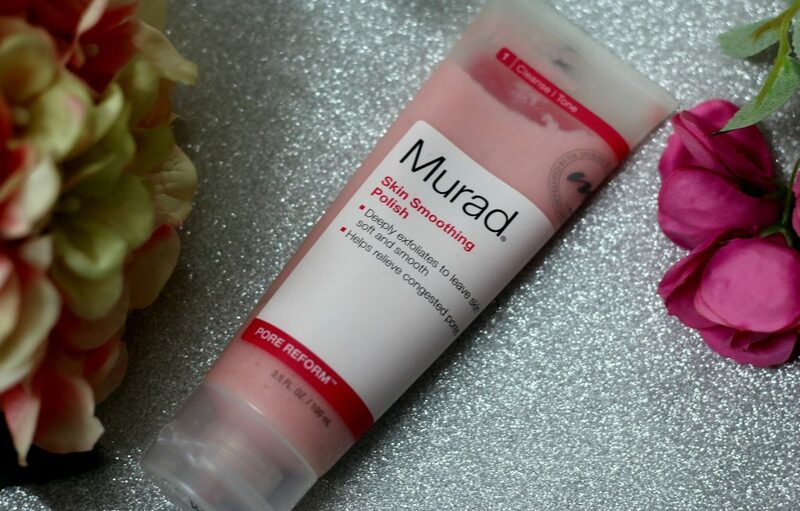 A must try from Murad! 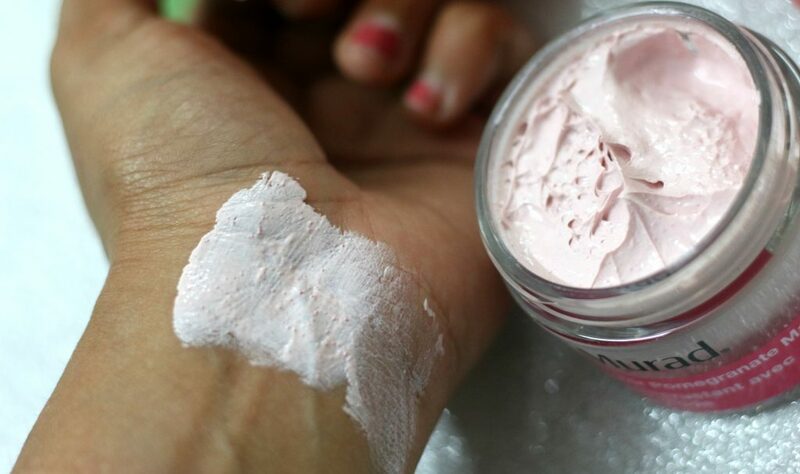 After cleansing, apply a thin layer using a spatula to cleansed skin or to areas prone to enlarged pores. Leave on for 10 minutes / until dry. Add a small amount of warm water to hands or your cleansing brush and gently massage into skin. This forms an exfoliating lather that takes away all those dead skin cells and debris from skin. If you are plan to apply makeup immediately after washing off the mask – apply Balancing Moisturizer Broad Spectrum SPF 15 PA++, (reviewed above). 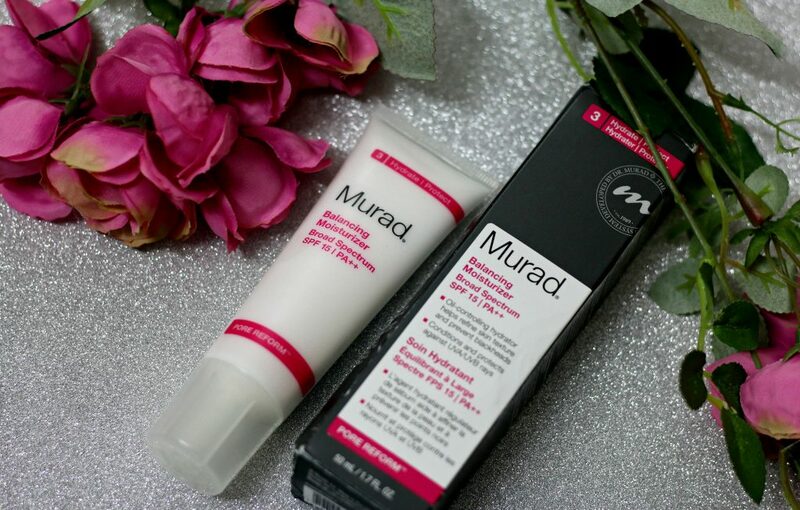 At night, apply your Murad moisturizer of choice and follow the retinoid serum or Night cream. 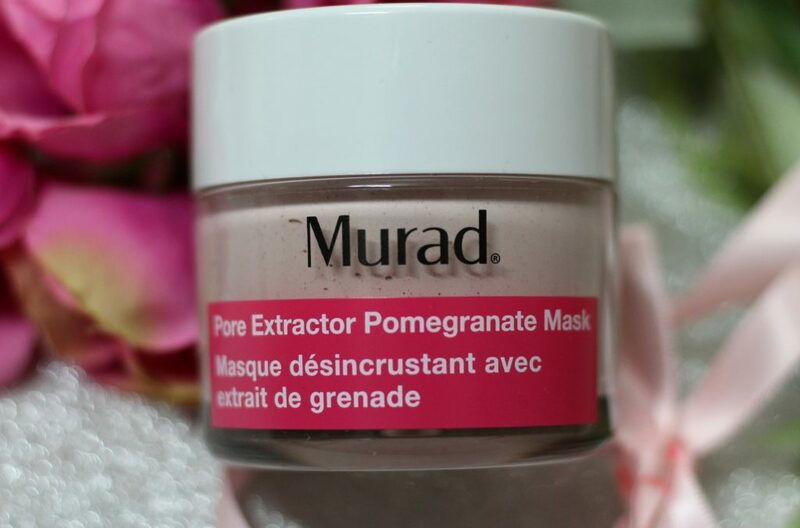 Murad Pore Extractor Pomegranate Mask is a fast-acting, deep cleanse treatment, ideal for skin prone to blackheads, enlarged pores and oily T-zones. Based upon Volcanic Clay, the powerful formula extracts impurities and excess oil like a magnet, with Polylactic Acid polishing beads working to dissolve dead skin cells for a visibly refined surface texture. The addition of Pomegranate extract promotes a brighter and more even tone, leaving your complexion feeling fresh, re-balanced and positively glowing. One of the biggest issue most of us face while wearing makeup for a longer time is dealing with the unwanted shine on T-Zone. While the awesome Pore-Reform skincare range takes care of all clogged Pores/Blackhead related skin concerns. 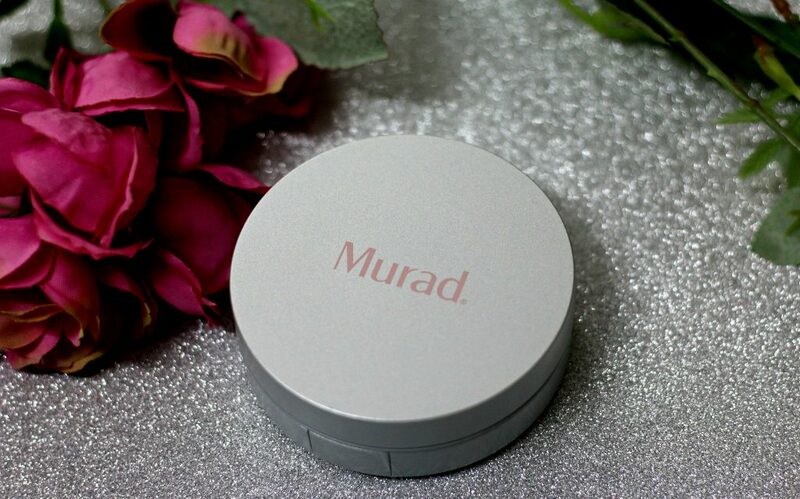 This Blotting Perfector from Murad instantly mattifies skin thereby setting makeup. It comes quite handy for touch ups on-the-go. 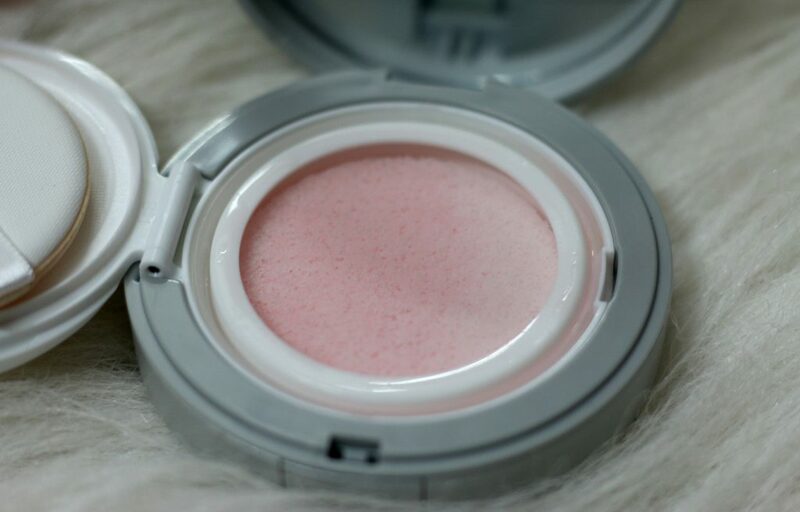 The pore-perfecting compact has a unique, translucent liquid-to-powder formula which absorbs oil, minimises pores and dries instantly to perfect the skin for a beautifully matte, soft finish. Take a look at it’s packaging. Such a cool compact to carry around, isn’t it ? I never tried any blotting cushion compact before receiving this. I used to carry my Body Shop blotting sheets with me. This is really convenient during travels as this one isn’t messy at all. The compact sponge comes handy while travelling or during long distant flights. 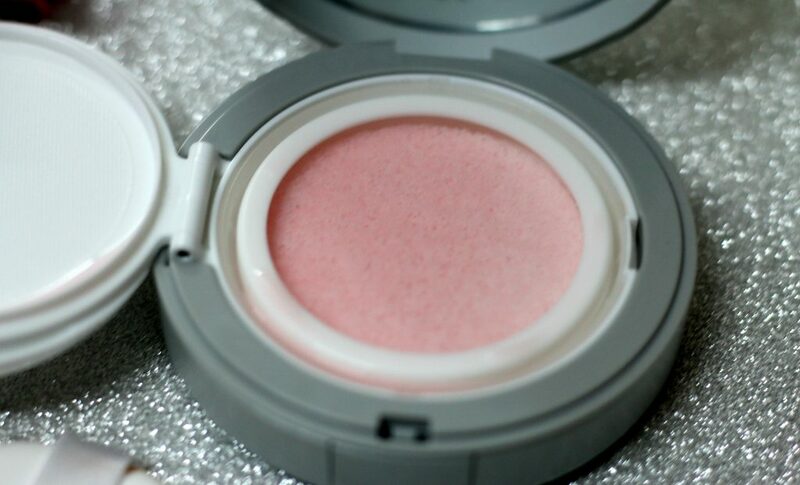 It can be used by all skin types – You just need to gently press the applicator puff into the cushion. Pat the puff onto skin, concentrating on oily areas. For touch-ups, reapply as desired. Availability – Available from leading spas and salons worldwide. 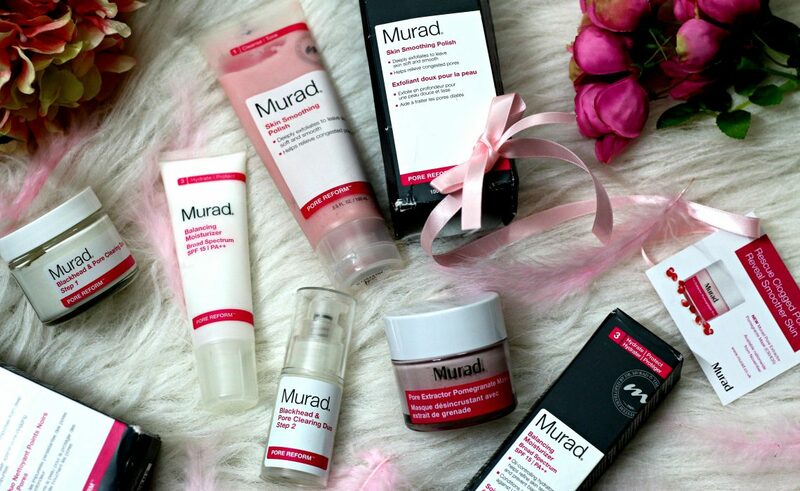 I love Murad Skincare products as you can already tell. 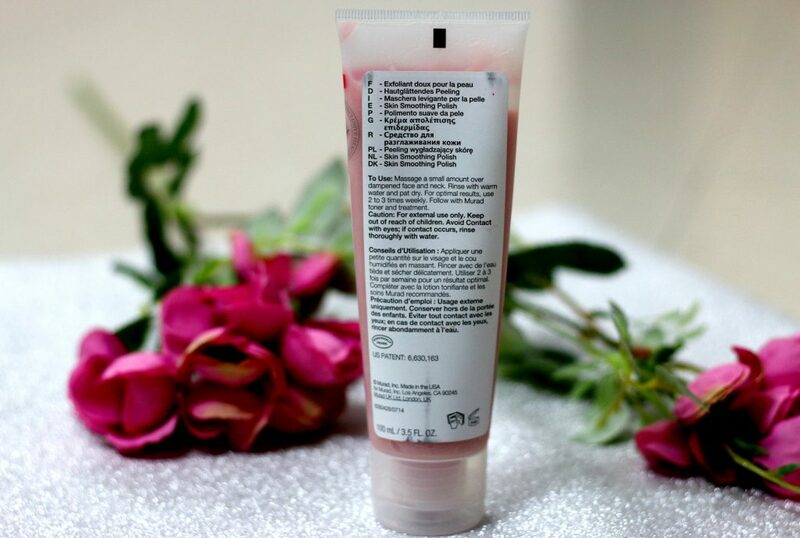 You should also get your hands on AHA/BHA cleanser. You’ll like it. I need to try their pore cleansing duo and smoothing polish. Love everything else from this lineup. 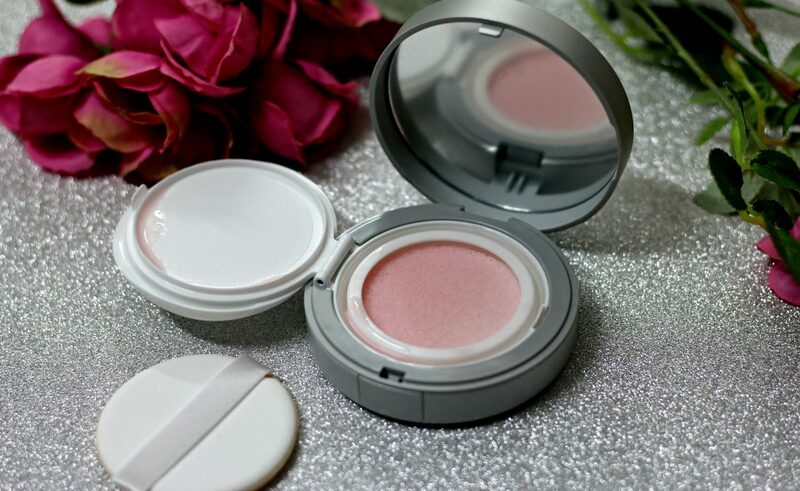 I would love to try AHA/BHA cleanser next…Waiting to finish my current favorite ones…. Wow such a well collaborated list of products hard to choose one i woll go with the pore extractor…Sounds awesome. 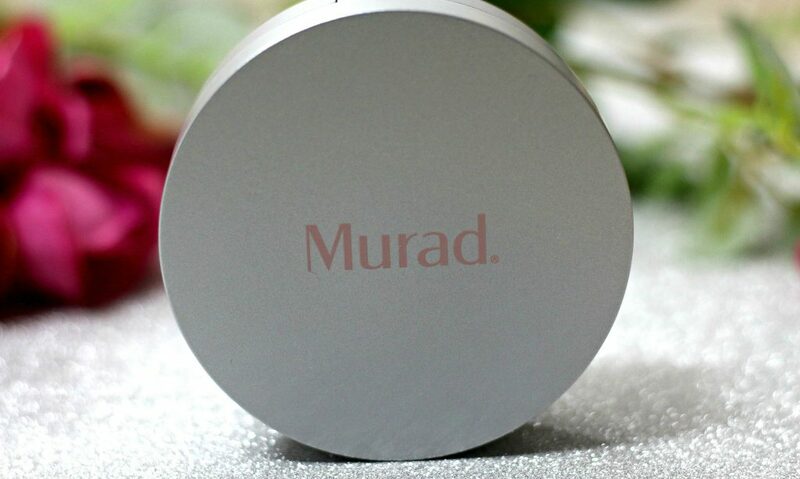 Murad products really do work! My aunt who lives in USA swears by this brand. It helped her clear acne to a great extent. I told her to get me some products for my pre marriage prep when she comes down to India! Great post..Renji! Yayy!!! 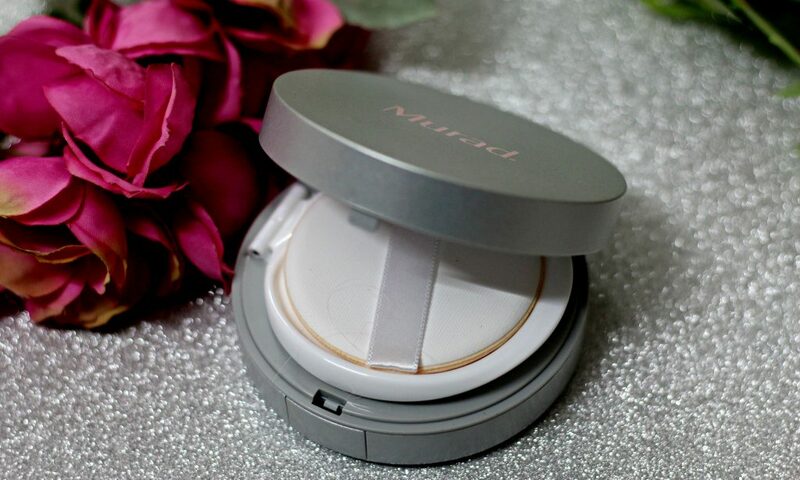 First of all congrats on your marriage Erica <3 Can't wait to see you in bridal attire....And yes, You are going to love Murad skincare for sure! Such a well written post.. Love the detailed reviews.. Amazing Renji.. I have terrible blackhead problem.. Would love to give this range a try… Thank you so much for sharing..
That skin smoothening polish sounds amazing! I love your detailed review, it is always so helpful. I do prefer to have the full line of products from same range to have in my routine to get the maximum benefits of what they are supposed to do. I do suffer from clogged pores a lot, will check these out. So much variety for all skin concerns. Such well thought categories and likewise design. Looking forward to the availability in India. Khushi, there are a lot of international sites that ship to India…Do try it if you get a chance to…It’s so good! I feel that after wearing make-up for a few days in a row my pores seems to show- i am convinced that the Pore Rescue will help me prevent larger pores and make my makeup still look flawless. 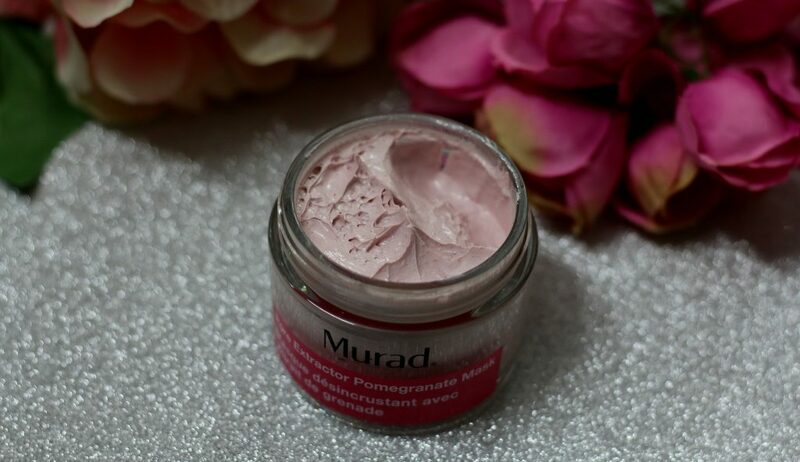 Murad has been on my wishlist like forever now, skin smoothening polish would be my first choice of purchase! Im highly impressed and intrigued by the detailed review, would certainly love to try this range out. I was looking for such products. These products looks promising and totally worth trying.